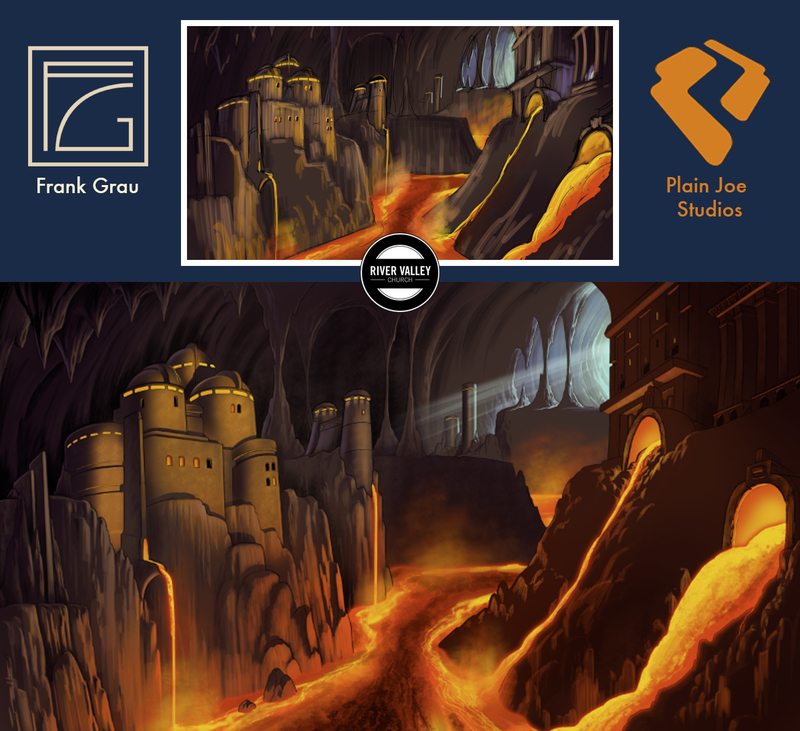 Second verse, same as the first… Here’s another rough sketch and the final art I did at Plain Joe Studios for our client, River Valley Church. 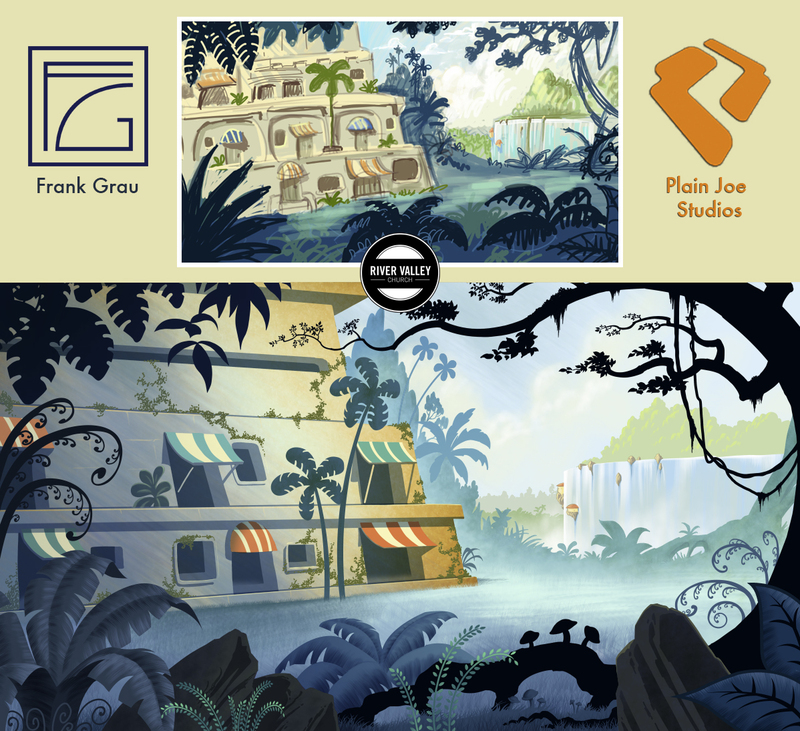 Like last week’s rendering, this was one of the many “worlds” illustrations which provide a backdrop for their Go Kids characters. 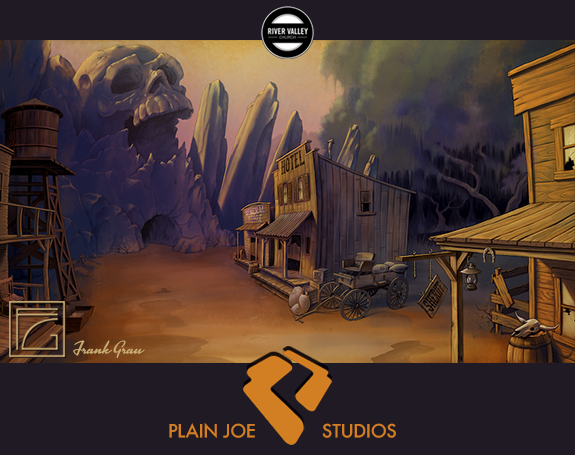 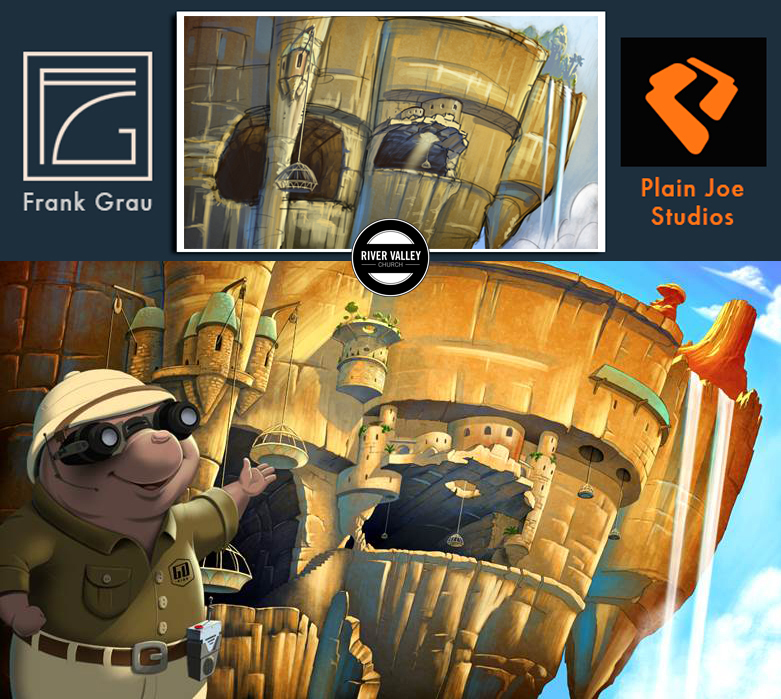 Here’s a rough sketch and the final art I did at Plain Joe Studios for our client, River Valley Church (RVC). 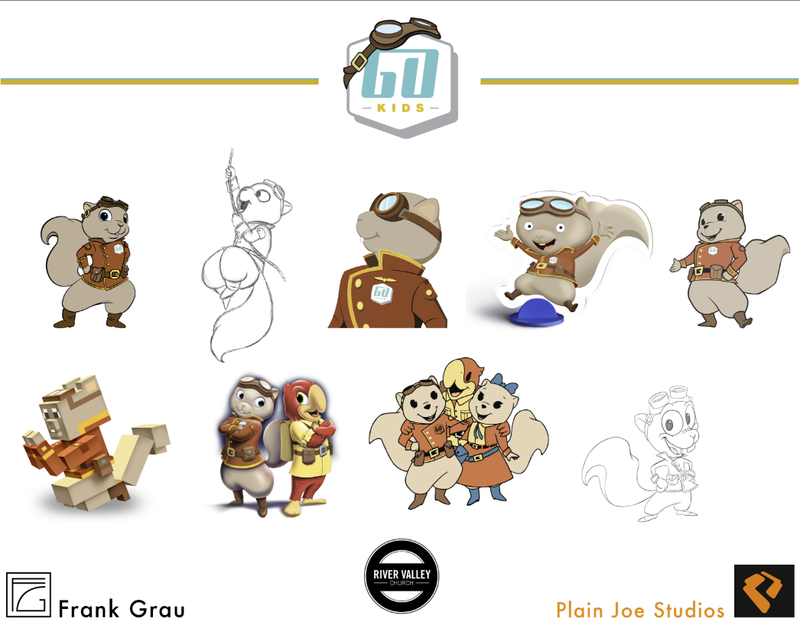 Go Kids is a children’s ministry featuring a cast of characters we designed at Plain Joe Studios as part of the spacial storytelling done for RVC. 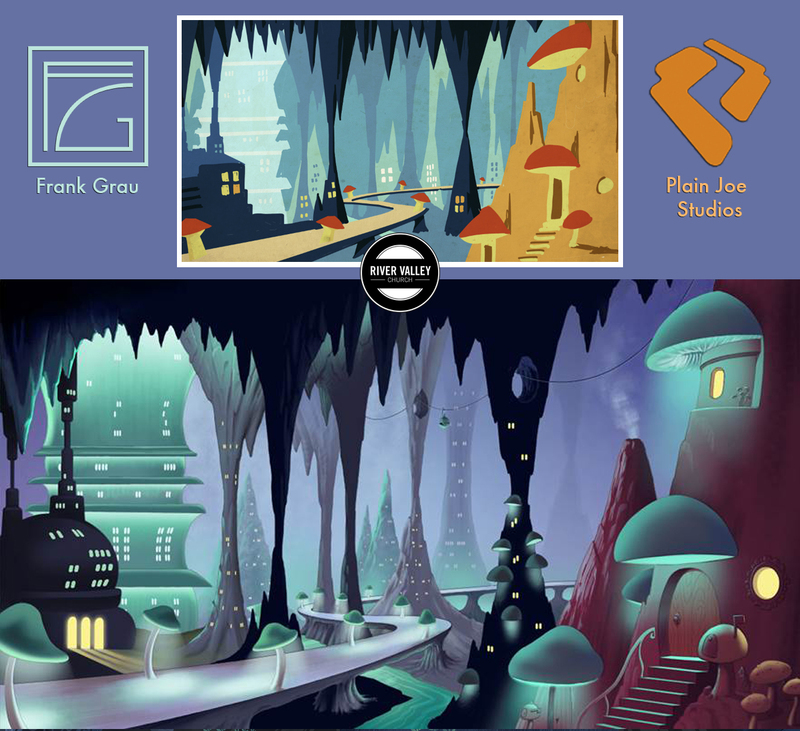 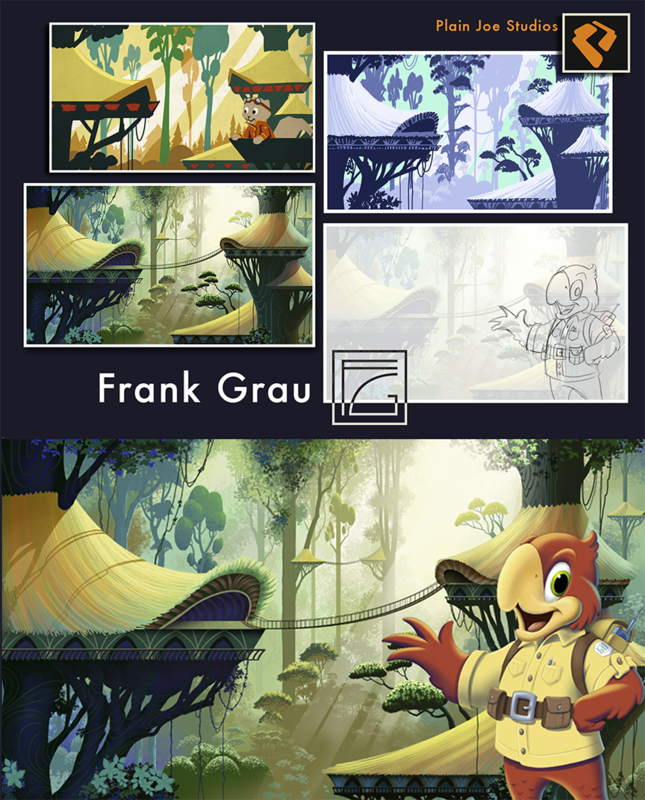 This was one of the many “worlds” illustrations which provide a backdrop for those characters.